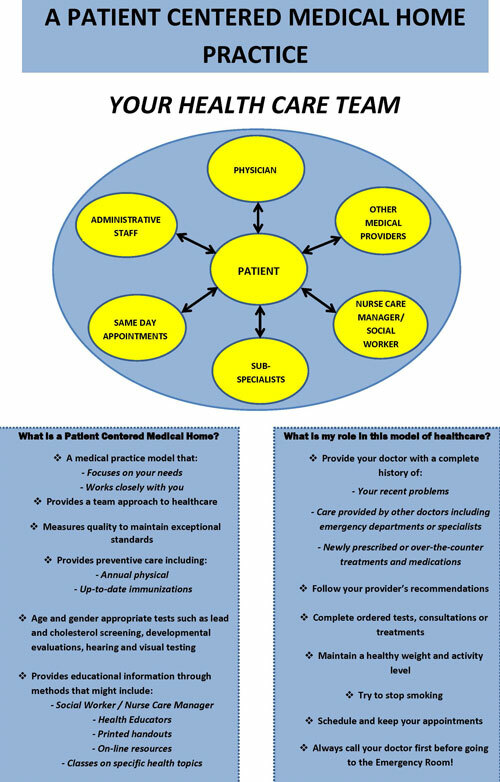 A medical home is an approach to providing comprehensive primary care that facilitates partnerships between patients, clinicians, medical staff, and families. A medical home extends beyond the four walls of a clinical practice. It includes specialty care, educational services, family support and more. Our efficient Care Team approach provides a greater measure of patient-centered care. Services provided within our practice include hearing and vision screening, hemoglobin and lead screening, developmental screenings as well as strep, flu, urine and stool testing. View the Patient Centered Medical Home video here to learn more. A Medical Assistant or a Nurse is assigned to each physician on a daily basis. ***These care teams are supported by Stephanie S. our Nurse/Office Manager, our Triage Nurses, Back Nurses, Medical Assistants, Receptionists, Billing Department, Social Workers and Pharmacists. Care team assignments may vary, based on staffing schedules.